Inviting people to your wedding can be quite a formal exercise. It can be very refined, conservative linen card with silver or gold embossed writing. 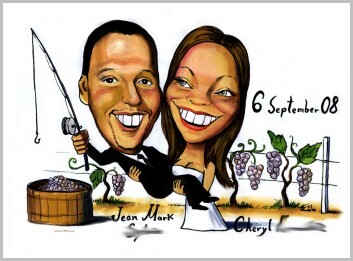 However, it can also take on some fun, like this couple have achieved with their caricature wedding invitations. That invite looks stunning. I agree that you have to add a bit of flare and excitement to your invite. Too many people are opting to keep theirs at a very bland level.